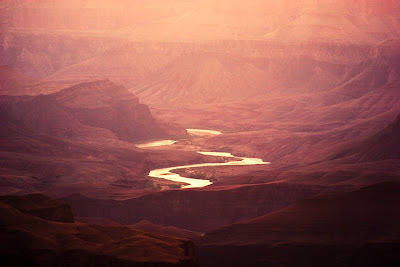 In July of 2007, I spent seven days at the Grand Canyon: four days at the south rim, and three days at the north rim. 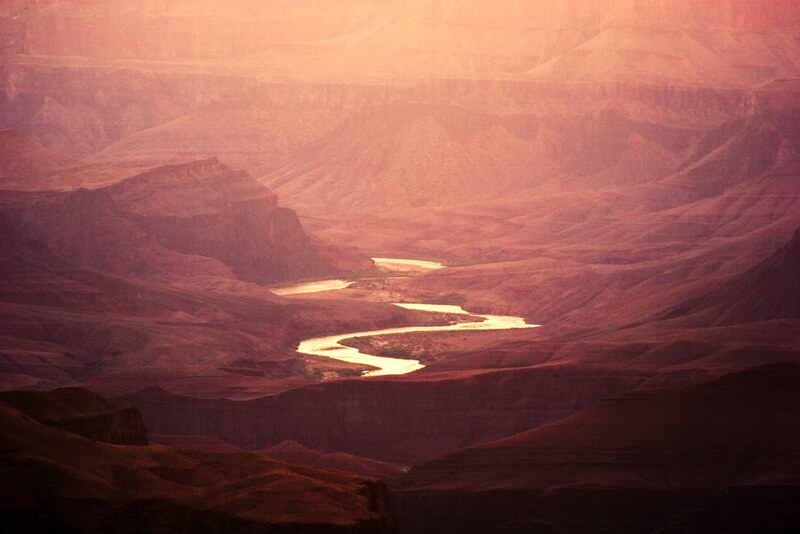 Previously, I had seen plenty of photographs of the Grand Canyon, most of which were taken in midday light. But nothing prepared me for what I was about to see. In preparation for my trip, I read as much as I could about Grand Canyon National Park. I was surprised to learn that the average visitor to the Park spends only about three hours there. I am guessing that most of those visits take place at the wrong three hours. From a photographic point of view, just about everything happens within the three hours around sunrise and sunset. In July, sunrise occurred around 5:30 a.m. Even though I went out to shoot sunrise by myself, I was never alone. Even at some of the more remote sites, there were always a few people who had come out to see the the canyon sunrise. Those who rose early were treated to a magnificent sight. Prior to dawn, it was pitch black (at least on the moonless mornings that I was there). It was so dark that it was somewhat disorienting. Any nearby lights were not powerful enough to reach and illuminate the canyon, so attempts to make out any detail were futile. It was like there was nothing there. With the twilight came a faint glow in the eastern sky. Shapes gradually became discernible. In this photograph, taken before sunrise at 5:07AM, the Colorado river shimmers in the reflected skylight. It was as eerie as it was beautiful. But the best was yet to come. Canon 20D f/5.6 2.0 sec. ISO 100 28-200mm lens @200mm To see a larger version of this photograph, click here.